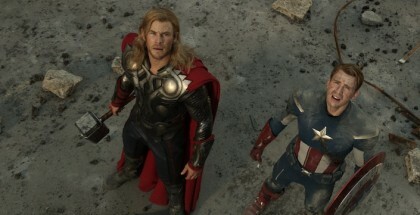 The Avengers goes dark in this big, bold, bleak blockbuster that suffers from having its own sequel. There are big films and there are huge films. Then, there’s Avengers: Infinity War, a movie so big that it makes Pacific Rim look like a Happy Meal toy. 10 years after Marvel’s franchise began with Iron Man, the MCU expands to critical mass with this ultimate crossover of crossovers, a blockbuster sequel so large that their universe-building does the only logical thing: turn into universe destruction. That destruction is courtesy of Thanos (Josh Brolin), from the Saturnian moon Titan, whose mission is simple: wipe out half of the universe. Its a philosophy driven by concerns of dwindling resources, partly fuelled by his own planet’s inability to sustain its population and possibly by seeing a full cast list for this movie. 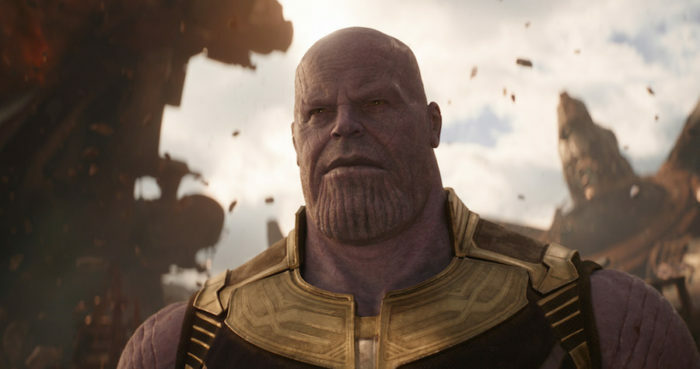 It’s to Josh Brolin’s credit that such a viewpoint in a family-friendly movie is given provocatively serious consideration (particularly in the face of his potentially laughable chin make-up) – in fact, Brolin’s presence is so towering that Thanos is effectively the lead character of the whole affair. Making a villain your protagonist after 18 movies of assembling heroes is a sign of just how ambitious Infinity War is. Christopher Markus and Stephen McFeely break almost every screenwriting rule in the book, killing off a major character within the first act and then proceeding to pile up the portent with every new scene. The message is simple: in this film, nobody’s safe, and we see set piece after set piece fail to go our heroes way, with every expectation thwarted and undermined. 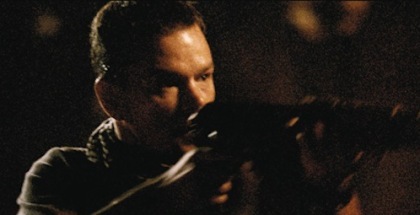 It’s a gamble that relies entirely on our emotional engagement with the characters in danger. This is where Marvel’s decade-long consistency pays off. While not every movie has been a surefire success, the casting has always been spot-on, and the actors are clearly at home in their roles, able to move from serious and grave to funny and light-hearted without breaking a sweat. The movie takes care to pair off characters in unexpected ways, giving each a chance to develop in the short screen-time they have, and that juggling act is, in itself, a colossal achievement. Knowing that everyone watching this will have seen at least a few Marvel movies already frees up the Russo brothers to direct the set pieces with a brisk pace, offsetting the massive baggage and exposition with frequent action sequences. Along the way, they dip into moving scenes between Vision (Paul Bettany) and Wanda (Elisabeth Olsen), showcase the comic relief of Letitia Wright’s Shuri opposite Chadwick Boseman’s Black Panther, allow moral dilemmas to be debated between Robert Downey Jr.’s Tony Stark and Benedict Cumberbatch’s Dr. Strange, drop pop culture references with Tom Holland’s endearing nerdy Spider-Man (“Oh, we’re using our made-up names?”), take time out to appreciate Chris Evans’ bearded Captain America (who can just say his name and bring the house down), and, most entertaining of all, make room for a crowd-pleasing moment involving Thor (Chris Hemsworth), who shines as the best of a talented ensemble. The cast have clearly all settled into their roles (Chris Pratt has a lot of fun trying to make his Star Lord more manly and alpha), and their interactions alone are worth tuning in for. They also provide the foundation for some additional flourishes, from the introduction of Nidavellir, a Nordic forge, to a refreshingly rare chance to see the Hulk (Mark Ruffalo) scared, not to mention the introduction of Daphne’s Tom Vaughan-Lawlor as the scene-stealing Ebony Maw, a genuinely creepy henchman of Thanos. Zoe Saldana’s Gamora, meanwhile, finally gets the kind of character arc she’s been crying out for ever since Guardians of the Galaxy. It all builds to a climax that manages to rise above its Phantom Menace-esque appearance, and it’s here that Infinity War makes its big play. From the music to the end credits, it’s a bold, ominous conclusion to an impressive piece of popcorn spectacle. It would like to be the Empire Strikes Back of the franchise, but the dark cliffhanger hits one key stumbling block: the fact that it’s a cliffhanger. There’s some mileage in watching the action unfold through the reactions of each of the characters, but any sense of potential peril or consequence is weakened by the fact that we know Infinity War Part 2 is around the corner – and that some of these characters will definitely be returning in their own solo sequels. It’s therefore impossible to know how seriously to take Infinity War’s ending until Part 2 reveals how unstoppable Thanos and his carnage is – a fact that’s hinted at by a key conversation with Dr. Strange halfway through. The result is a jaw-droppingly big slice of entertaining while it’s on, but it becomes more hollow the more time passes since watching it. There’s big, there’s huge – and perhaps there’s such a thing as too big. Avengers: Infinity War is available on Sky Cinema. Don’t have Sky? 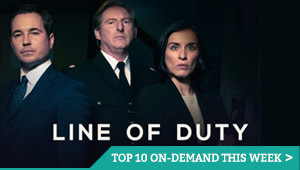 You can also stream it on NOW TV, as part of a £11.99 Sky Cinema Month Pass subscription – with a 7-day free trial. Where can I watch Avengers: Infinity War on pay-per-view VOD?